At Hilton’s Heartland we do not believe your challenges developed overnight, instead it was a slow brewing storm…. THE PERFECT STORM. What is THE PERFECT STORM? We have found it is never just one culprit; it is always a combination of at least three or more stressors with the last stressor setting off the THE PERFECT STORM which can manifest as challenges ranging from acne, autism, high blood pressure, diabetes, hives, lymes disease, auto immune issues, urinary tract infection, depression, prostate issues, gastrointestinal issues and the list goes on. This is why Hilton’s Heartland uses N.I.C.E. Solutions in conjunction with the Design of the Body, and Emotional Release Program to help create a Balanced Life | Mind – Body – Soul. We Want to help you and your loved ones Feel Better, Look Better, and Be Better! N.I.C.E. Solutions [Natural, Integrative, Cellular, and Educational Solutions] was created to describe our approach, our methodology. First and foremost, all of our techniques and services work with the Design of the Body and are completely NATURAL which aides our clients with acute or chronic conditions and those simply striving for daily balanced maintenance. To systematically disband THE PERFECT STORM we need an extremely INTEGRATIVE and personalized care blueprint. Our techniques and services synergistically complement each other to form an all-inclusive MIND-BODY-SPIRIT approach. This is why you will find a wide range of techniques, services and evaluation instruments at Hilton’s Heartland. Further, we want to make sure that we are dealing with the issues at a CELLULAR level. Our approach is always promoting healing at a very deep, cellular level, which balances out all areas of the body. Lastly, we want to live up to Our Mission statement that we are always providing information in an EDUCATIONAL format. We make sure to thoroughly educate you on all aspects of your care so you can achieve a lifetime of glowing health. Our goal is to work with the Design of the body to address the underlying cause of your challenges rather than treating only the symptoms. The body has an innate ability to heal itself and at Hilton’s Heartland we want to educate our clients in setting up the proper external and internal environments so that the healing will take place. We begin the journey by discussing your challenges and identifying goals in an extensive initial consultation which can be done in the office, via Skype or telephone call. After learning about the WHOLE picture about YOU, we utilize state of the art technology in concert with the consultation to create your personalized care blueprint summary. By eliminating the root cause of the illness, not only do the symptoms disappear, they do not reoccur. The neuroendocrine system is the communication system of the body. It regulates all the cycles and processes such as digestion, metabolism, respiration, sleep and healing and regeneration of new tissue. Its job is to keep the body in a balanced state and its health determines how well we adapt to stress and change. 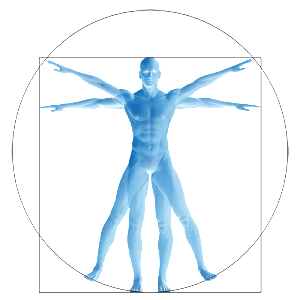 We will assess the energetic health of the neuroendocrine system and provide individualized protocols to reset communication abilities and support the extracellular matrix. The majority of chronic health issues begin in the gut. Poor food choices, food sensitivities, enzymes deficiencies, medications and stress all impair the body’s ability to effectively digest food, assimilate nutrients and eliminate waste. This leads to leaky gut, environmental sensitivities, chronic inflammation and decreased immune function. We will assess the energetic health of the gastrointestinal system and provide individualized protocols to strengthen, tone, repair, nourish and support these organs. We are all bombarded with toxins every single day of our lives. The air we breathe, the food we eat, the water we drink and wash in are loaded with chemicals and impurities that invade our bodies. The organs that filter and drain our bodies can become compromised due to genetics, poor nutrition, lack of exercise, poor hydration and heavy toxin load. This damages the endocrine, nervous and immune systems and can leads to chronic, often severe health challenges. We will assess the energetic health of the filtration and drainage system and provide individualized protocols to open the detox pathways. We then gently promote the detoxification process and then feed, nourish and rebuild the system. Toxins are constantly present in our environment. When the body does not efficiently remove toxins over a long period of time, they can cross into the cellular matrix and impregnate the cell. Early stages of this often manifest as asthma, migraines, liver damage and heart problems. Left unchecked, they begin to degenerate the cell. This is an advanced state of compromised health and during this stage conditions like Alzheimer’s, Parkinson’s, Multiple Sclerosis, Lupus are often seen. Further degeneration often results in more severe illness and cancer that can present in any area of the body. We will assess the energetic health of the cell and determine the toxic load. We will provide individualized protocols to gently and effectively remove toxins locked within the cellular matrix so healing can begin. The body is designed to heal if it is given what it needs. Once toxins are removed and proper nutritional support is added, the body can put resources into deep healing. This healing process can be greatly enhanced by professional quality supplements, homeopathics, herbs and essential oils. We will energetically assess what your body requires to augment this healing and repair. We always provide individual protocols to help return your health to a level where you no longer have to manage symptoms but instead, enjoy the vibrant level of vitality you dreamed of. Proper nutrition, sufficient hydration, clean air and water, healthy relationships are some of the things that support the body’s natural flow system and maintain balance. Restoring health is only half of the picture. We will assist you with implementing lifestyle changes that will help you nurture your restored state of health as well as enhance your mind, body and spirit. We also offer ongoing support to ensure that you continue to enjoy your vibrantly healthy life! In each moment of every day, a conversation is taking place inside us (internally) that’s one of the most vital conversations we will ever find ourselves engaged in. It is the silent, often subconscious, and never-ending conversation of emotion-based signals between the heart and the brain. The reason this conversation is so important is that the quality of the emotional signal the heart sends to the brain determines what kind of chemicals are released into our bodies. When we feel what we would typically call negative emotions (for instance, anger, hate, jealousy, and rage), the heart sends a signal to the brain that mirrors our feelings. Such emotions are irregular and chaotic, and this is precisely what the signals they send to the brain look like. The stress from negative emotions increases the levels of the stress hormones cortisol and adrenaline in our bloodstreams, which prepare us for a quick and powerful reaction to whatever is causing us stress. That reaction includes redirecting the blood supply from the organs to the muscles, limbs and extremities that we use to either confront the source of our stress or run as fast as we can to get away from it—our instinctive fight-or-flight response. In our modern world, we are in a perpetual state of information overload and we can feel that we’re in a constant state of never-ending stress. 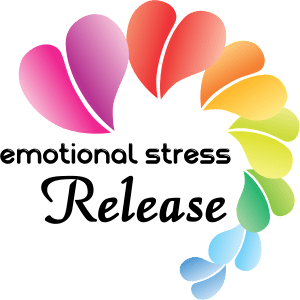 People who cannot find a release from this kind of stress find themselves in sustained fight-or-flight mode, with all of the consequences that come with it. It’s not surprising to find that people with the greatest levels of sustained stress are also in the poorest health. The rise in U.S. statistics for stress-related conditions, including heart disease and stroke, eating disorders, immune deficiencies, and some cancers is no surprise when we take into account the relentless stress that many people experience in their daily lives. The good news is that the same mechanism that creates and sustains our stress responses, often on a subconscious level, can also be regulated to help us relieve the stress in a healthy way—even when the world is in chaos. And we can do so quickly and intentionally. Just the way our hearts send our brains the signals of chaos when we feel negative emotions, positive emotions send another kind of signal to our brains that is more regular, more rhythmic, and orderly. In the presence of positive emotions, such as appreciation, gratitude, compassion, and caring, the stress hormones in our bodies decrease, while immune and anti-aging properties increases. The shift between the stress response and a feeling of well-being can happen quickly. emotional stress Release program which employs a wide variety of techniques and therapies that help to gently release emotional energetic blockages and restore mental, emotional, spiritual and many times physical wellness. See Our Services to see the full menu. This healthcare practice is based on a ministerial license issued by the Pastoral Medical Association (PMA). The titles PSc.D and D.PSc referenced on this website relate to practitioner’s PMA license, and not to any state license authority. PMA licensees do not practice medicine. More specifically, they do not examine, diagnose or treat, or offer to treat or cure or attempt to cure, any mental or physical disease, disorder or illness, or any physical deformity or injury. Also, PMA licensees do not recommend or prescribe any medications or pharmaceutical drugs.